Average rating: 86/100 (from 1494 votes). First half is great, but the second half doesn't appeal to me at all. I think In Utero is stronger but then again I don't see all the Nirvana hype despite Kurt Cobain having my respect for being cool. 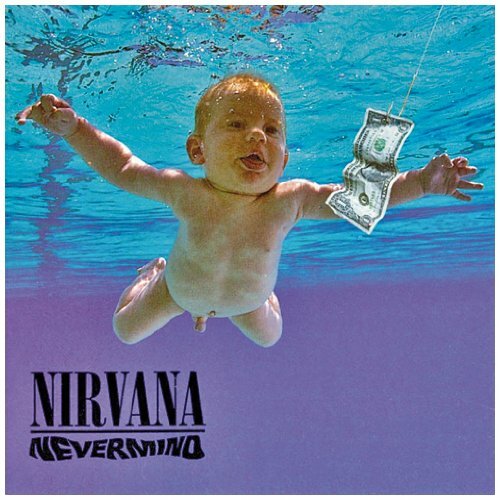 Good album, I think In Utero is the better Nirvana album personally though. Nevermind probably has slightly better peaks, but I feel overall I have to give it to In Utero. The starting point of my journey into the world of music, one of the first albums I ever bought. It was second hand so the box was quite battered when I got it, there was even mould growing in one corner. Yet the CD worked perfectly, it got a serious amount of uses though, probably more than any other CD I own, must try it later to see if it still works. Naturally, I love this album and I'll always have time for it. Like Patman, one of my first albums when I was starting to get into music. Something In The Way is my current favorite. I think it's position in influential music history is better than the actual music here. Currently number three on my chart. This album is a complete masterpiece. My three favourite tracks the three in the middle- being Polly, Territorial Pissings and Drain You, and they really show of the diversity of Nirvana's song writing. But all the tracks highlight this, and they are all great songs. Tracks 7 to 10 are good, don't care about the rest. Not sure what's the appeal of a lot of it here. In Bloom and Lithium are great, the rest either annoy me or I just don't care much for it. I'm just left wondering why do people think this album is so much better than a lot of 90's mainstream.